Happy Canada Day! To celebrate, here's a Team Canada concept I quickly made today. 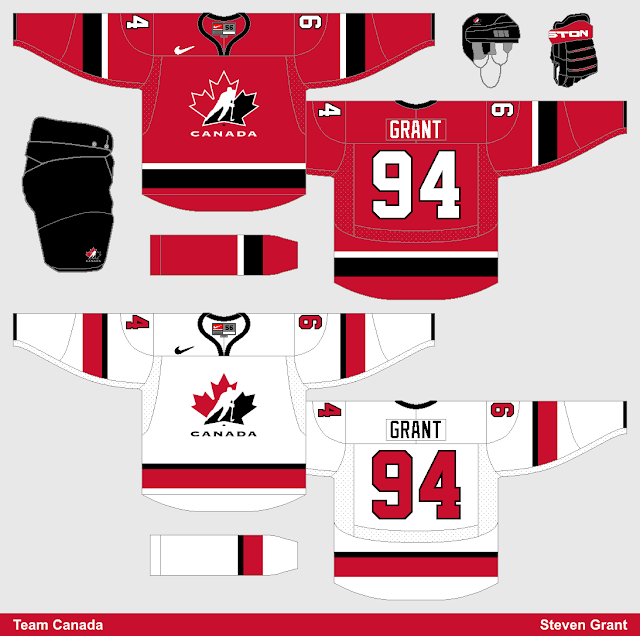 This concept is heavily inspired by Canada's 2002 Olympic hockey jerseys. I have fond memories of those jerseys, but I also think they're slightly dated so I tried to update them here. See you later, I'm heading off to go watch some fireworks now.